Time for a personal post! My good friend Erin, creator of some of the most beautiful, delicate, and elegant hair accessories you’ll ever see, moved into the sweetest little house in the heart of Houston. It’s on the most perfect, picturesque street with a sense of community, pride, and serenity amongst the neighboring houses. After she & her husband Billy were all moved in, she started thinking about what she might want to do with their new home to make it their own. 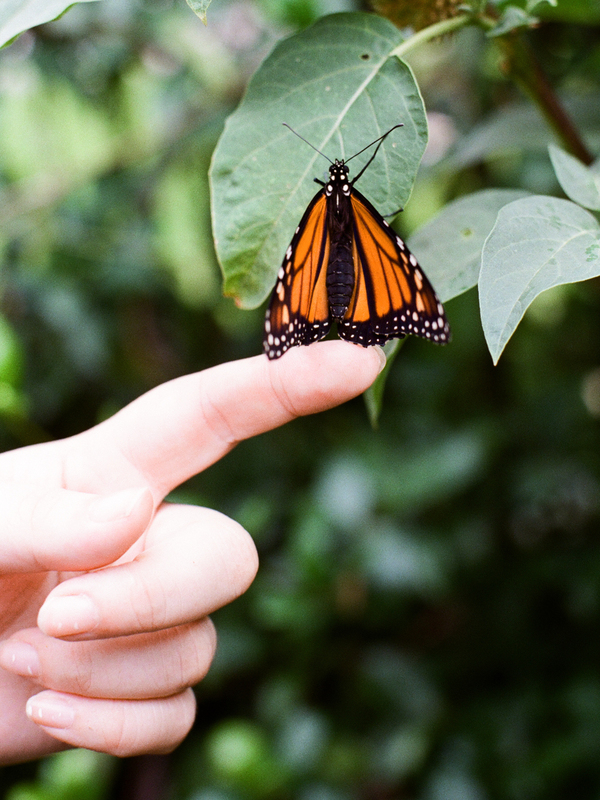 She envisioned a lush, botanical garden, lizards, and butterflies gracing her house daily. 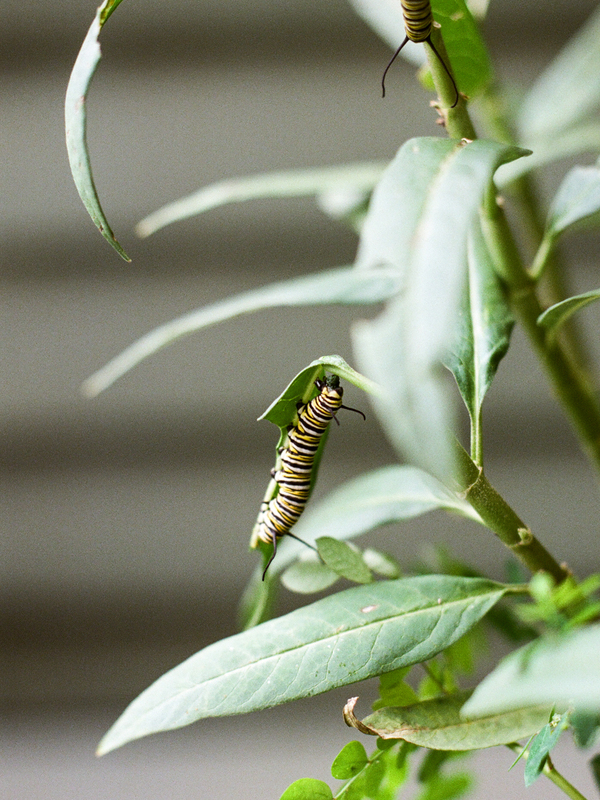 When she got to work planting all of the plants she wanted in order to attract butterflies, she noticed the sweetest tiny caterpillars on the milkweed plants she bought. She wanted to protect them, so she bought a little mesh enclosure to keep the birds from eating the caterpillars. As the grew, and they grow fast, she joked that the chrysalis they form in order to transition into a butterfly looked like a gnocchi, so she named that first one Baby Gnocchi. Then followed Mark-aroni & Riga-toni. 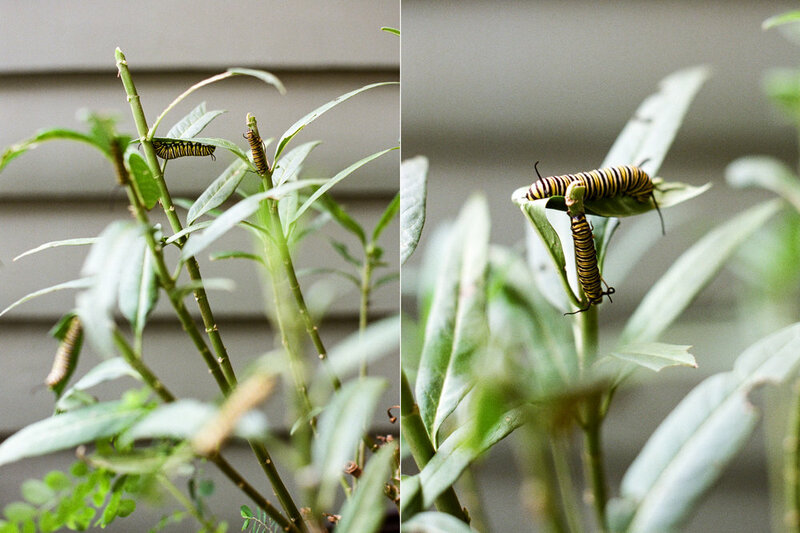 As we headed to lunch one day, Erin was kind enough to let me photograph some of her little caterpillar babies, and a butterfly that had just come out of it’s chrysalis. After that, this turned into several different rounds of caterpillar-raising, and she did it so well! She knows which were boys and which were girls, how to tell which are thriving versus those who were not, and how long they’d be in their chrysalis based on the color of the casing. It’s wild, you guys, and so cool to watch her dive in and be so passionate about these butterflies. It was such a joy to see these little guys at all stages of their lives before Erin set them free to join the migration south to Mexico. Erin documented it so well, too. I encourage you to hop on over to her Instagram & watch the highlight labeled ‘Butterflies’. It’s amazing! I want to photograph them a little more next year, so maybe I’ll do a yearly post about this if Erin’s willing to raise more cater-babies. To see other personal posts, click here. Thanks for reading!